What transforms a restaurant into a place worth traveling for? One great indicator: a Michelin star. If a restaurant has been awarded a coveted Michelin Star, you can bet that the food is inventive, tasty and almost as beautiful as your date. You can keep that one for free! These places bring everything you crave from a Michelin starred meal, with one exception: the price tag. 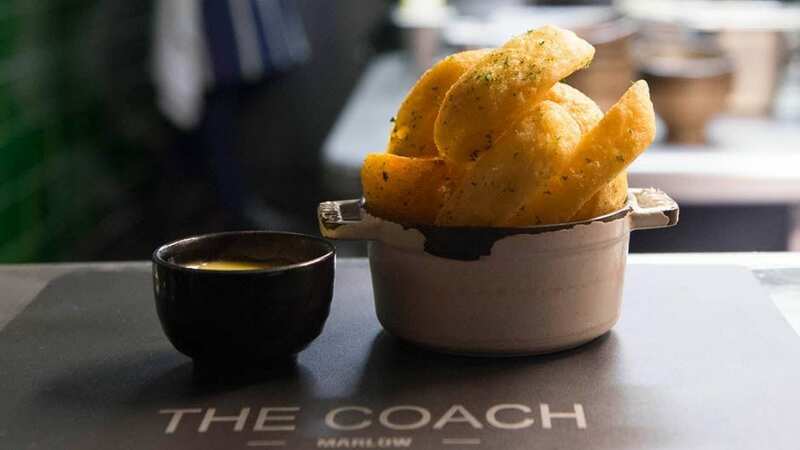 You may well know The Hand and Flowers, the gorgeous pub with exquisite food from Tom Kerridge (which you should definitely visit too), but you should make sure to visit his other pub, The Coach, also. The coach offers comforting food with beautiful presentation, so why not take a trip to the pretty town and try both! Price: From £6.50. Nope, not a typo. Offering nothing but the best local, seasonal ingredients, Ox brings you creativity on a plate whilst delivering fantastic flavors at affordable prices – especially if you go for lunch. If you’re an oenophile, the carefully selected wine list has perfect options to compliment any dish, making for a very delicious and memorable meal. Combining the definitively bountiful ingredients of Scotland with the French cooking techniques we all crave, The Kitchin does things very right. Set in a cool converted warehouse, the chic and elegant vibe gives off the perfect atmosphere for sophisticated dining in a relaxing and enjoyable setting. The lunch deal is nearly impossible to beat. Getting one Michelin star is incredible, but maintaining three separate ones is wildly impressive! With three locations in London, there’s no excuse not to try this buzzing restaurant. The Spanish tapas bar is ideal for a casual meal of sharing dishes with friends or family. Each location offers a unique specials menu and if you’re into excellent Spanish wine, these are knockout. With beautiful views over-looking Torbay harbor, the stunning food isn’t the only draw. Dishes change regularly from only the best locally sourced ingredients of the season, meaning every plate of food is served at its prime. You can choose from an à la carte or tasting menu, keeping everyone (even fussy eaters) happy. Nobody does pub food better than the Brits, and when you taste it at this level, you’ll quickly understand why. Sitting in the beautiful Oxfordshire countryside, this classic pub will leave you full and satisfied. They offer a wide variation of options from light meals to full on tasting menus. You really can’t go wrong. Is there any cuisine more satisfying than Indian food? Trishna offers a taste of coastal Indian cuisine, set in a charming, chic atmosphere in a great part of town. Like most Michelin starred restaurants, the lunch menu offers truly excellent value, with a wide variety of options to choose. The aloo chat is a guaranteed smile maker. This modern gastropub by Heston Blumenthal dishes up traditional British cuisine with a highly creative twist. Long story short: if you’re into food photography, bring your camera. These plates are picture perfect and scrumptious. Both service and atmosphere are excellent, and if you can make it there for the Sunday roast, you’re in for a real, classic treat. This picturesque countryside setting demands beautiful food to match. The regularly changing menu feels like a showcase in creativity, with an endless array of carefully plated dishes bursting with all things flavor. If you feel like sticking around, they also offer a cookery school. What better place to learn! It’s always good to have options for everyone you’re dining with. Lyle’s offers a bar menu, set dinner menu with four courses, or an à la carte lunch menu – depending on how much you want to eat and pay. Whichever option you choose, try the chocolate mousse dessert, it’s easily one of the best in Europe – and that’s saying something. Which restaurant are you going for? Featured image courtesy of Kitchin. These sound so great! Michelin star always gives an impression of high priced restaurants. Another one I’d recommend (though it’s more of a Michelin-worthy restaurant) is http://www.saltflakeslondon.co.uk/ They have a nice modern twist to the french cuisine.